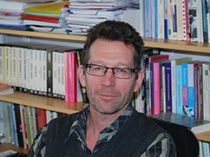 Pieter Bevelander is Professor in IMER at MIM, Malmö Institute of Migration, Diversity and Welfare and a senior lecturer at the School of IMER, Malmö University, Sweden. His main research field is international migration and different aspects of immigrant integration. He has a doctorate in economic history and wrote his thesis (2000) on the employment integration of immigrants in Sweden in the period 1970–1995. A number of his publications include the labour market situation of immigrants in a regional setting and the effects of labour market policy measures directed towards immigrants in Sweden. Other research topics include the labour market integration of men and women in the Netherlands, the ascension to citizenship of immigrants in the Netherlands and a comparison of ethnic social capital in Canada and the Netherlands. His latest research includes the political participation of immigrants and minorities in host societies and the attitudes of the native population on immigrants and other minority groups. He has reviewed for several international journals and has published in a number of international journals. Pieter Bevelander joined CReAM as an External Research Fellow in March 2014.